For the past few months, a team of wonderful editors and I have been hard at work putting together the Fall 2013 issue of the USC 925. 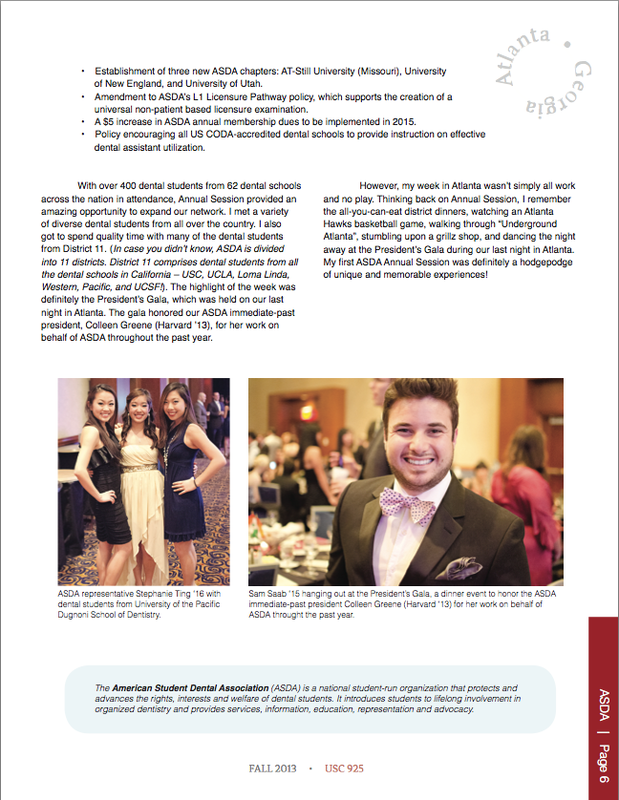 The biannual magazine represents the voice of the student body of the Ostrow School of Dentistry of USC. With newfound passion, creativity, and vision, we strived to transform the USC 925 from a standard old-school newsletter to a modern and trendy magazine. 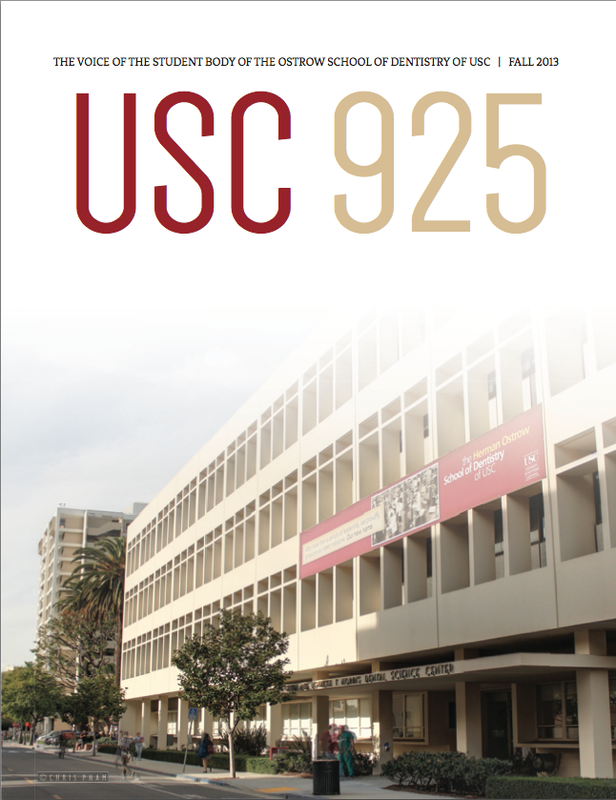 Make sure you check out the latest issue at the following link (http://issuu.com/usc925/docs/usc_925_fall_2013). 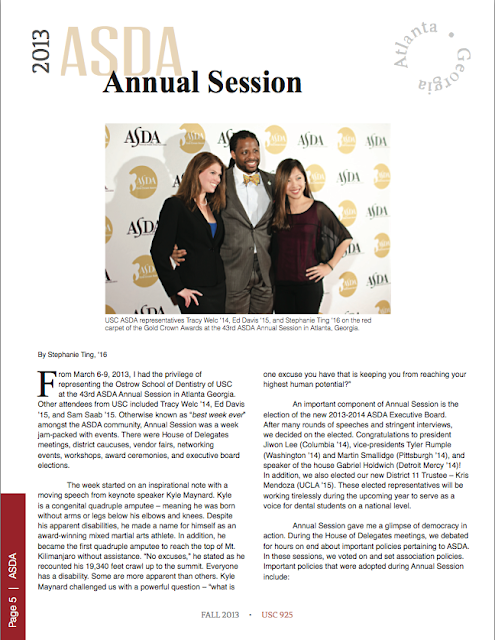 While you're there, read my article on the 43rd ASDA Annual Session in Atlanta, Georgia!